Sometimes the best content can be found right under your nose and on your social feed. This week, we found some noteworthy blog posts from a few of our Sprout Social All Stars. As we were scrolling through our Twitter and Facebook, we found a chock-full of actionable content marketing tips, Facebook tricks and even some personal advice that’s sure to pull on your heartstrings. Facebook made a few changes to its news feed algorithm that will have your friends and family talking–literally. This change places an even heavier weight on Facebook posts originating from individuals rather than Facebook Pages. Brooke B. Sellas discussed the potential loss in organic reach that has brands going back to the strategy chalkboard. When it comes to ditching Facebook engagement all together, Sellas shares our sentiments exactly. “Facebook is where the conversation is happening,” Sellas says. 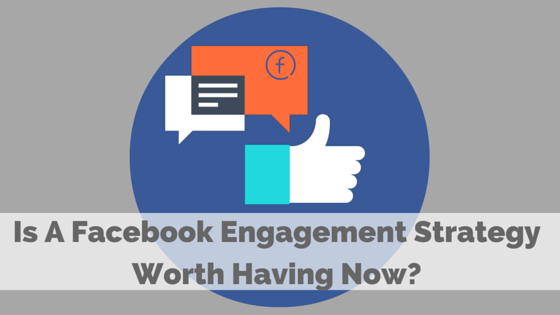 In short–Facebook engagement still matters. This update just forces all of us to be better marketers and challenges us to really flex our creative muscles and test and learn from our social strategy. “It means smarter advertising. It means less content that urges consumers to buy from you,” Sellas says. If Facebook’s latest update to their news feed sounds like a family BBQ you wish you weren’t invited to, you’re not alone. It’s important to continue testing to see which types of post resonate with your audience and don’t be afraid to let your brand’s personality shine. A good mix of fun and informative content might just be a formula for success. It’s easy to get lost in the hustle and bustle of social media. Whether you’re running a business from the top down, or constantly plugged in, it’s easy to lose focus of the things that matter most in life. This week, Mandy Edwards recently celebrated a milestone and mourned a loss. Blogging about hardship and pain is never easy, but it can be therapeutic and insightful for both the writer and her reader. You are not guaranteed tomorrow, so go after the big fish today. Even if you don’t catch it, at least you can say you tried. Losing a loved one is never easy and reading Mandy’s takeaways brought a tear to our eye. Her post reminded us that you shouldn’t stress if you’re not active on social for a week. Don’t worry if you haven’t downloaded the hottest new app. Edward’s piece was a good reminder that we all need to devote more time to our friends and family and continue to strengthen our relationships offline. If you haven’t heard already, Instagram is hot. Regardless of your industry, you should be looking at ways your business can invest in the network. More importantly, you should be trying to understand how you can use Instagram to generate new business. David Pride’s recent contribution for The Huffington Post is a great intro for marketers looking to potentially invest in an account and a good refresher for social media managers who are just beginning to experiment with the platform. Pride’s tips are a great refresher on some basic, Instagram best practices. He offers short, sweet and tangible tips that anyone can use to up their Instagram game. What did you think of the content that some of our All Star’s published this week? Learn more about our program here.